David McKnight is currently Associate Professor at the University of New South Wales. 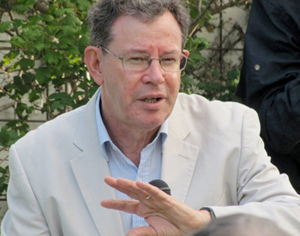 He is the author of four books on topics diverse as contemporary politics, the news media, recent Australian history and international espionage. David also contributes regularly to the opinion pages of Australian newspapers. His most recent book is the co-authored Big Coal: Australia's Dirtiest Habit, on the power of the coal industry and Australia’s status as a major global exporter of coal. Another recent book is Rupert Murdoch: An Investigation of Political Power (Allen & Unwin 2012) and published in the UK and USA as Murdoch’s Politics (2013). His book on the cold war in Australia (Australia’s Spies and Their Secrets) won the 1994 NSW Literary prize for non-fiction. Another book, Beyond Right and Left: New Politics and the Culture War, was nominated for the Gleebooks prize on cultural criticism. It was also extensively cited by the then Labor MP, later Prime Minister, Kevin Rudd in 2006. His research on the impact of the internet on newspapers and the future of news was published as Journalism At the Speed of Bytes (with Penny O'Donnell and Jonathan Este). He has worked as a journalist on the Sydney Morning Herald, ABC TV’s Four Corners and on the weekly Tribune. He is also a fellow of the Centre for Policy Development. He previously taught for 12 years in the journalism program at the University of Technology, Sydney.